Ruby-throated hummingbird is the only species living in eastern part of the States. Normally male will arrive first in early spring and male hummer is also the first to leave in September. I have a very busy summer this year with all backyard hummingbirds. 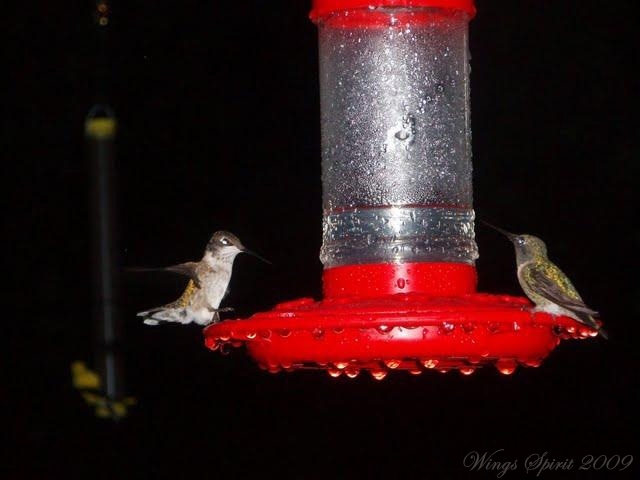 I discovered more than 20 hummingbirds live around my backyard. I put out 4 feeders and could not keep up refilling them. Watching them chasing or fighting with each other all day long, I hope one day they will learn how to "share". Though this is not the case usually.